If you're looking for an addictive puzzle game, check out Ketchapp's latest release: ZigZag! 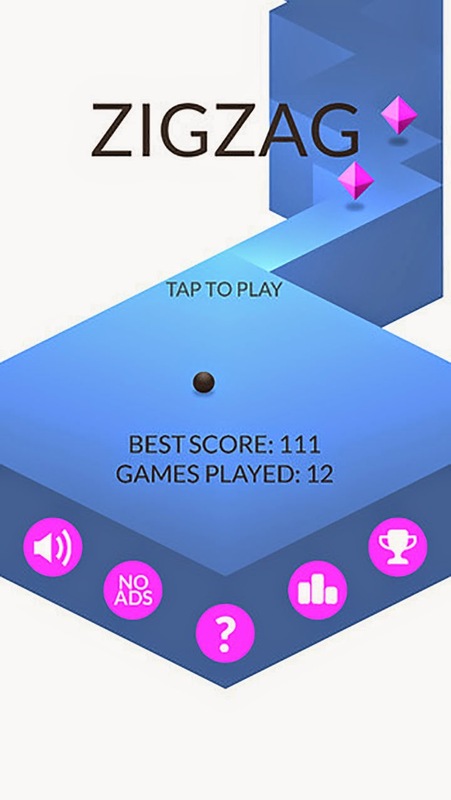 You're goal is to guide the black ball along the zigzagging track while collecting jewels. Build yourself up a high score and don't fall off! It's a very simple game with a colorful interface that happens to be a lot of fun, give it a go!